People often wonder about the noises they hear during an adjustement. They ask if it’s the same noise that their knees and other joints make when they get up and down. Many think back to their parents warning them about “popping” their knuckles out of fear of them getting arthritis. Your joints make a variety of sounds. Everything from a “popping” sound, to a “cracking” sound to even an occasional “grind” or “snap” can be heard in some peoples joints. This symphony of sounds is normally caused by 1 of 3 things. 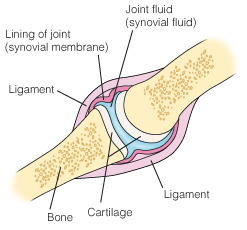 The synovial fluid present in your joints acts as a lubricant. This fluid contains the gases oxygen, nitrogen, and carbon dioxide. When you cause a joint to “pop” or “crack”, as is the case when you hear the noise during an adjustment, you are stretching the joint capsule. Gas is rapidly released from the joint capsule which causes the “popping” or “cracking” sound. In order to hear the noise again, you have to wait until the gases return to the synovial fluid. This noise actually has no bearing as to how effective the adjustment is. It is merely a coincidental occurrence that sometimes happens when you administer an adjustment. When a joint moves, the tendon’s position changes and moves slightly out of place. You may hear a snapping sound as the tendon returns to its original position. In addition, your ligament may tighten as you move your joints. This commonly occurs in your knee or ankle, and can make a cracking sound. 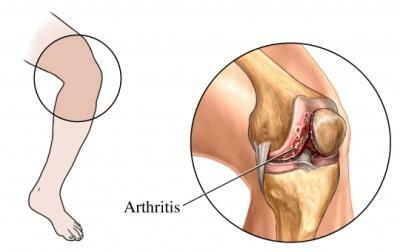 Arthritic joints make sounds caused by the loss of smooth cartilage and roughness of the joint surface. Mom and grandma can rest easy if they are still worried that you are going to get arthritis because you “pop” your knuckles. As for the harms associated with this habit, according to Anatomy and Physiology Instructors’ Cooperative, an in-depth study regarding the possible detriments of knuckle popping has been published. This study, done by Raymond Brodeur and published in the Journal of Manipulative and Physiological Therapeutics, examined 300 knuckle crackers for evidence of joint damage. The results revealed no connection between joint cracking and arthritis. On the positive side, there is evidence of increased mobility in joints right after popping. When joints are manipulated, the Golgi tendon organs (a set of nerve endings involved in humans’ motion sense) are stimulated and the muscles surrounding the joint are relaxed. This is part of the reason why people can feel “loose” and invigorated after being adjusted.